A Canadian company that owns the majority of the beloved Peanuts brand is selling nearly half its stake to Sony Music Entertainment (Japan) for $185 million. American fans have nothing to fear: Charlie Brown, Snoopy, and crew will not change, according to a spokesman for DHX Media of Halifax. "The Peanuts characters, and the brand representation that Americans and other fans around the world love, will remain essentially the same," DHX Media spokesman Shaun Smith told CNNMoney. "The Snoopy that Americans love is the same Snoopy that the Japanese love, and Canadians, for that matter." He said that Peanuts, and "Snoopy in particular," is already "enormously popular in Japan." Sony (SNE) Music Entertainment (Japan) has already licensed the brand since 2010, according to DHX. 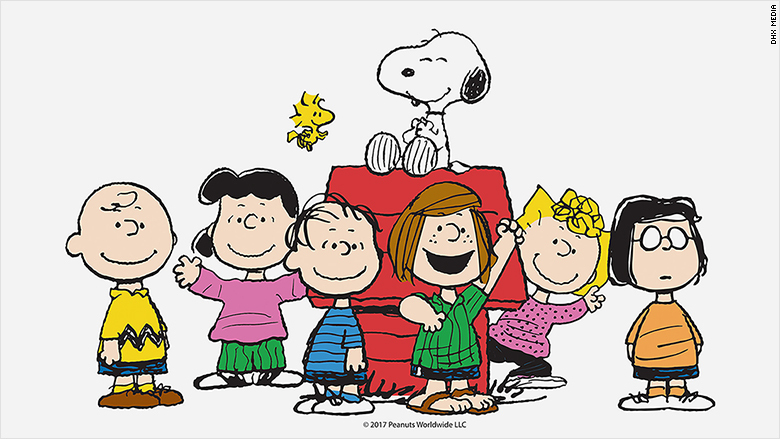 DHX Media (DHXM) signed the deal on Sunday to sell 49% of its 80% stake in the Peanuts brand. DHX still keeps the controlling share of 41%, in Peanuts, while Sony Music Entertainment (Japan) will own 39%. The remaining 20% is still owned by the family of Peanuts creator, Charles Schulz, who died in 2000. In 2017 he earned $38 million and became one of the world's top-earning deceased celebrities, placing third on the Forbes list last year. Charlie Brown, with his yellow zigzag shirt, and his ultra-cool dog Snoopy, are among the most famous cartoon characters in the world. Schulz came up with Peanuts in the 1950s, starting as a comic strip, and then expanding into television specials, including "A Charlie Brown Christmas" in 1965, as well as toys, books and eventually "The Peanuts Movie" of 2015. The sale to Sony comes one year after DHX bought its 80% stake from Iconix Brand Group (ICON), for $175 million. DHX said it was now selling nearly half that stake to pay off debt. The deal is set to be completed by June 30.